Blanton’s, a brand owned by Sazerac, is distilled (as is everything these days, it seems) at Buffalo Trace distillery in Kentucky. 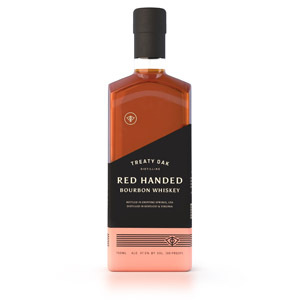 Considered to be the first brand to release a “single barrel” bourbon (in 1984), the company selects barrels only from the center of their “Warehouse H” facility to be considered for single-barrel bottling. These notes are from barrel #150. Nose: Rye influenced (nutmeg and mixed spices), some cherrywood, nutmeg and cinnamon. Rich golden hay, cornmeal and a hint of cider. Palate: Creamy body. Corny burn and cinnamon red-hots resolve into luscious caramel and vanilla fudge, ice cream, and maple syrup. 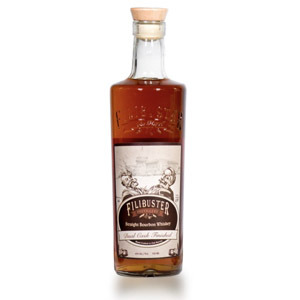 Finish: Medium length, corn-heavy finish, with lingering rye spices – the nutmeg comes back with a vengeance. Overall: Still trying to get over corn flavors in bourbon, but there’s nothing offensive or “plastic” about the corn notes here. The dominant rye character and skillful maturation make this a very tasty dram, although one you’re certainly paying for. 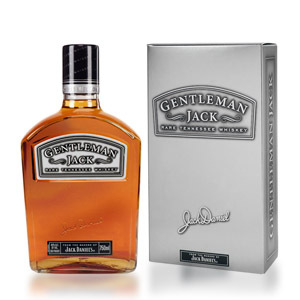 Worth a try if you see it at a bar, but I only suggest buying a bottle if you know beforehand that this hits your “sweet spot” of preferred styles. 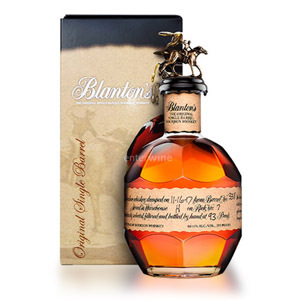 I found blantons to be disappointing, it was watery and not bold enough on the front to tie together all the sweetness, while i would have again i will not buy it. If you can try kentucky spirit from wild turkey, it is very good and around the same price as blantons. Garret, I’d have to agree with you — this is not that complex of a bourbon. 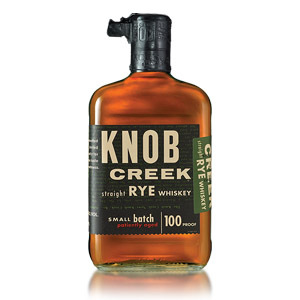 I prefer rye in general, but this has none of the subtlety of a decent rye. It’s a great bottle, and it will make a nice Derby centerpiece tomorrow, but drinking it neat leaves much to be desired. I assume it’ll make a nice, though expensive, Mint Julep. Oh, yeah, btw: Golden Cents, Verrazano and Revolutionary — in that order tomorrow. Good luck. I like Blanton’s. We haven’t seen it on the shelves here in South Texas for almost two years. The a month ago I found one lonely bottle in a( Kingsville) shop selling for $72.99. This price was $10 -$15 dollars less than I was seeing online. I bought it. Yesterday I walked into the local Costco-WB (Pharr,TX) and the manager says he just got an allocation of Blanton’s thirty minutes before. 1 bottle. He brought it out and I bought it for $59.99. I was pleased. Maybe we’ll begin to see more Buffalo Trace product here in S. Texas. This one took me a little while to get used to. Was very unimpressed at first. Now I love it. 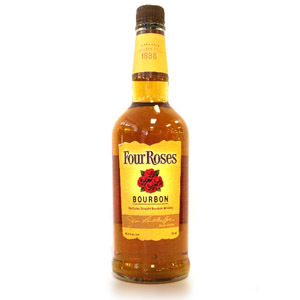 I’ve been a scotch drinker for a few years now, but have been wanting to find a nice go to bourbon. This is one that I’ll always have on hand.